U.S. Department of Energy provides information on policy changes, regulations, and industry markets and trends, including current fuel prices. Energy Information Administration – government agency that provides forecasts for US fuel markets. Energy Stats – Provides stats on different sources of energy in multiple countries. American Petroleum Institute – API is the major national trade association representing the entire petroleum industry. Oil Online an industry online news magazine. Petroleum Place a portal site for the oil and gas industry. Independent Petroleum Association of America – Offers government fact sheets, research information and weekly newsletters. Energy Central a portal site for the electric utility industry. LCG Consulting A comprehensive report about US electricity markets, volatility analysis and pricing database. Also contains price forecasts, reports and energy models. Nuclear Energy Institute an industry supported site which includes information and statistics on the industry. Power Marketers information and news about deregulation. National Association of Regulatory Utility Commissioners – Lists utility associations for both the national and state levels. American Wind Energy Association provide up-to-date information on wind energy development, economics, cost competitiveness, and environmental compatibility. BioFuels Informational Links prepared by the USDA Agricultural Library. Renewable Energy Policy Project offers a variety of links and information about alternative energy resources and trends. National Renewable Energy Laboratory Provides information on the projects being undertaken by the U.S. Department of Energy’s National Renewable Energy Laboratory. Site sections include information on the following research: biomass, buildings, geothermal, hydrogen and fuel cells, wind and solar. Renewable Fuels – U.S. government energy statistics on renewable fuel sources provided by the Energy Information Administration. Renewable Fuels Association The RFA is a national trade association for the ethanol industry. Site includes regulations, position papers, industry statistics, and an annual industry outlook. Small Business Gateway information on grants and low interest loans for research and commercialization of alternative energy sources. Site provided by the US EPA. 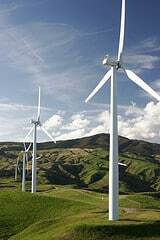 DOE Wind Information Resources resource links and industry information. Interstate Renewable Energy Council – a nonprofit corporation that works with industry, government and educators. California Energy Commission – renewable resources using wind, solar, geothermal, biomass and small hydroelectric facilities.